This Panda Party Collection Kit includes eight (8) sheets of double-sided Designer Cardstock and one (1) 12x12 sheet of Element Stickers. Look for coordinating single sheets available. 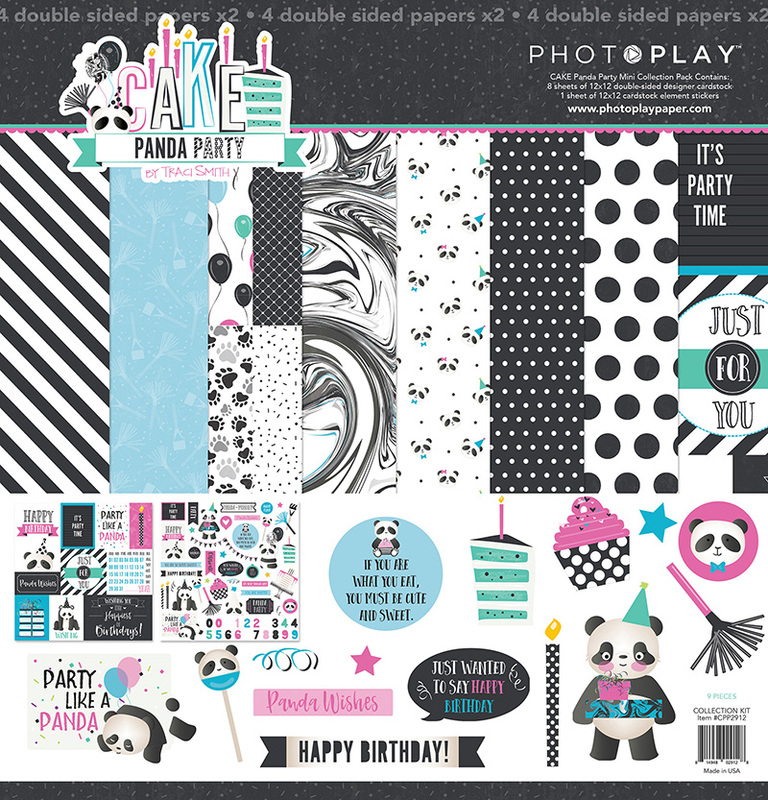 Part of the Cake Panda Party Collection by PhotoPlay Paper.